The urn with the tree shading it was also a common theme on headstones. The slate slab tombstones seem to keep the best. 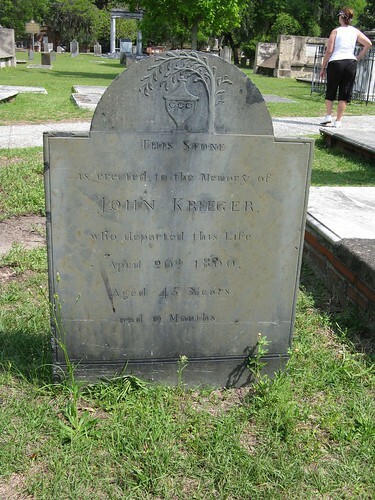 This stone is erected to the Memory of John Kreeger who departed this life April 26th 1800. Aged 45 years and 9 months.